Who says cross-game promotions never work out? 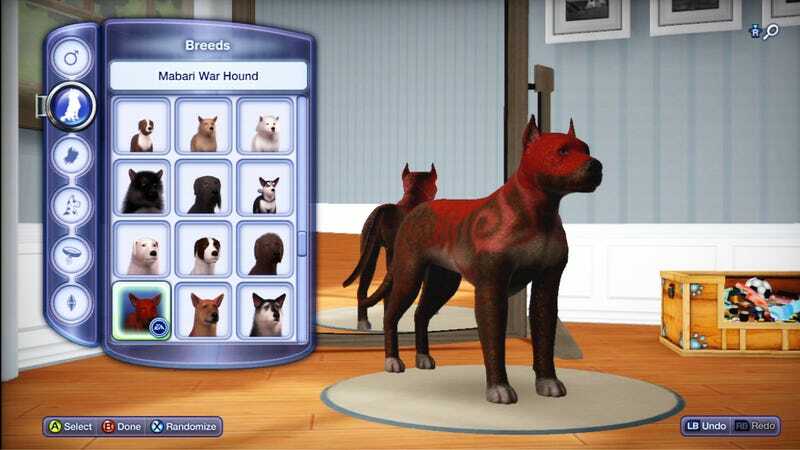 If you pre-order The Sims 3: Pets: Limited Edition on Xbox 360 or PlayStation, you'll get a dozen exclusive breeds of dogs, including a panda chow, skunk birman, and—in a Kotaku-exclusive reveal, because we're an important media outlet—a Mabari War Hound from Dragon Age. And if I'm reading this email from EA correctly, you can also get a Mabari War Terrier, which I didn't even know is a thing. But it is now!